У понеділок, 12 лютого, лідер партії «Народний фронт» Арсеній Яценюк візьме участь у програмі «Свобода слова» на телеканалі ICTV. 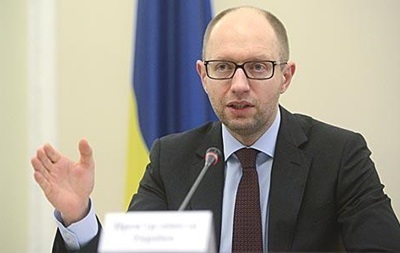 Arseniy Yatsenyuk approves the law on the creation of the Supreme Anticorruption Court: Thsi is really an amazing initiative that took Ukraine. Ukraine and USA have a rally innovative relationship for Custom Rigid Boxes . This step took Ukraine to its desirable height. Very informative article. Freedom of Speech is really important to sustain a balanced, neat and clean life. Each individual has their own self-respect in their life and has complete right to say anything wich really have worth to say. This topic is really innovative and people find these type of such interesting topics at relationadvisors.com. Good Luck Thank you!